Willis M. Gardner was born in Galena in 1868. 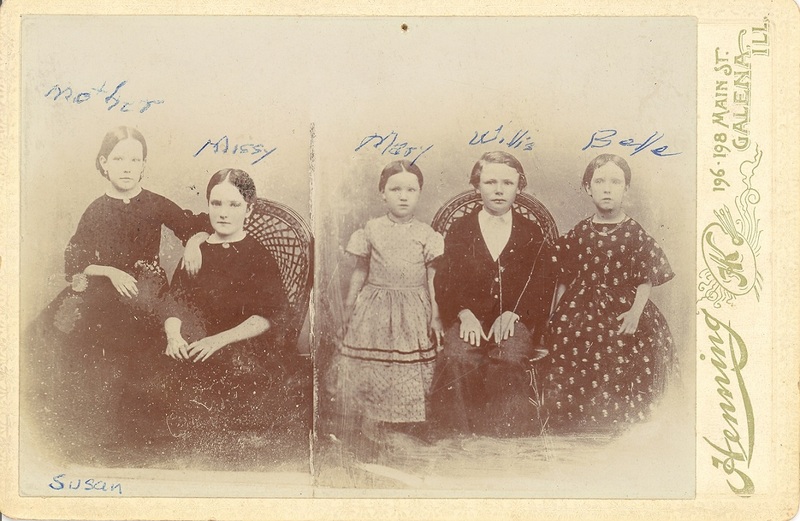 Here is a photograph of his siblings, the children of John C. Gardner and Mary Murray Kerwick Gardner. You will find this family in the 1860 census and other records. Note that the boy in the photo is labeled "Willis" but it is believed the boy in the photo is his older brother, John. Susan, Margaret, Mary, John W., and Isabelle, abt. 1860. Missing is Willis M. Gardner who was born in 1868. Image courtesy of Dan Gorman and Mary Jensen.